Providing you the best range of memantine tablet, donecept tablet, rivamer tablet and galamer tablet with effective & timely delivery. 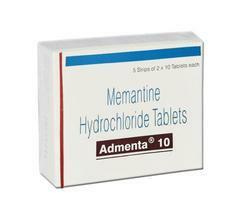 We are one of the accredited suppliers, importers and exporters of a quality-approved range of Memantine Tablets. The offered medicine is widely used in Alzheimer's disease. All these tablets are used for the treatment of moderate to severe dementia associated with Alzheimer's. Moreover, we offer these medicines to customers at industry leading prices. 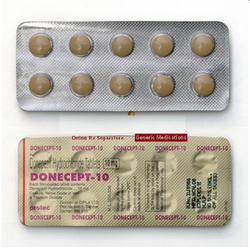 On offer from us is an effective assortment of Donecept Tablet to our customers. Procured from trustworthy and reliable vendors of the market, these tablets are in compliance with medical industry standards. The offered tablet is used by many neurologists, psychiatrists, and primary-care physicians with patients suffering from Alzheimer's disease. 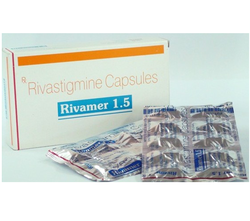 We are identified as one of the prominent suppliers, importers and exporters of high-quality Rivamer Tablet. The medicine offered by us improves memory, awareness and the ability to perform daily functions. This medication works by restoring the balance of natural substances (neurotransmitters) in the brain. 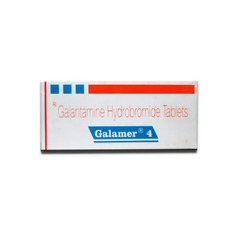 We provide an effective range of Galamer Tablets Galantamine to our esteemed customers. To process these tablets, our medical experts use high grade ingredients and other material. In addition to this, our quality controllers test these tablets in order to gauge its quality and effectiveness. Clients can avail our range at most competitive prices. Nausea and vomiting, Increased salivation, Severe intestinal cramping, Slow heart rate, Low Blood pressure, Seizure, Muscle weakness, Loss of life. Looking for Alzheimers Medication ?